Our passion for Hawai‘i is expressed in many shapes and forms, from the authentic Hawaiian hospitality we share with our guests, to the support we provide local artists in bringing their creative vision to life. Our ‘ohana’s most recent celebration of the Islands took place in San Jose, where our second large-scale, commissioned mural made its debut in the Bay area. 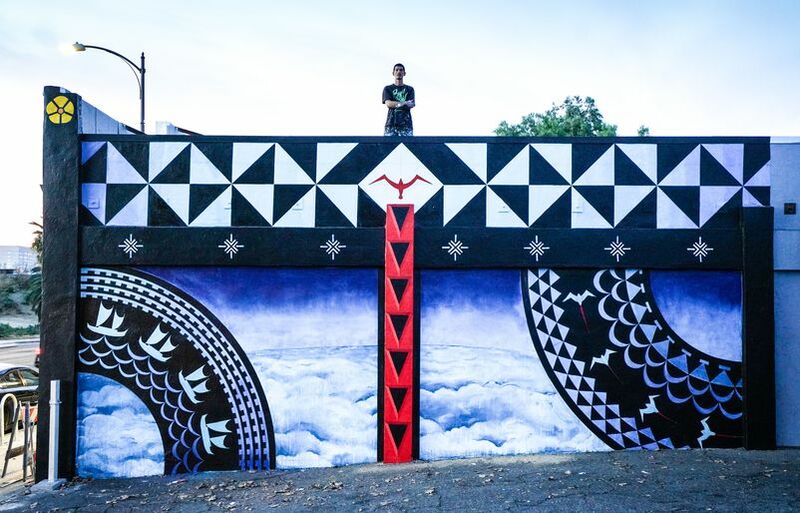 The 15-feet-tall by 22-feet-wide piece was completed by Cory Taum, a Native Hawaiian artist who has dedicated his career to the mo‘ōlelo (storytelling) of Pacific Islanders, and live-painted throughout the Northern California city’s annual POW! WOW! street festival held Oct. 17-28. From afar, you’ll see canoes sailing, birds soaring, dream-like clouds floating and a collection of shapes that might look familiar. Look closely and you’ll find a much greater story, one with traditional Hawaiian tattoo patterns that allude to shark teeth, octopus tentacles, wave crests, and native flora, and cultural elements like seabirds flying over the Pacific Ocean, voyaging canoes guided by stars, and a calm blanket of clouds frequently seen from the windows of our cabins. Taum brings these rudiments together masterfully to accomplish two goals: emphasize the monumental role the Pacific Ocean has played in connecting cultures and the kuleana (responsibility) indigenous communities have in protecting it. 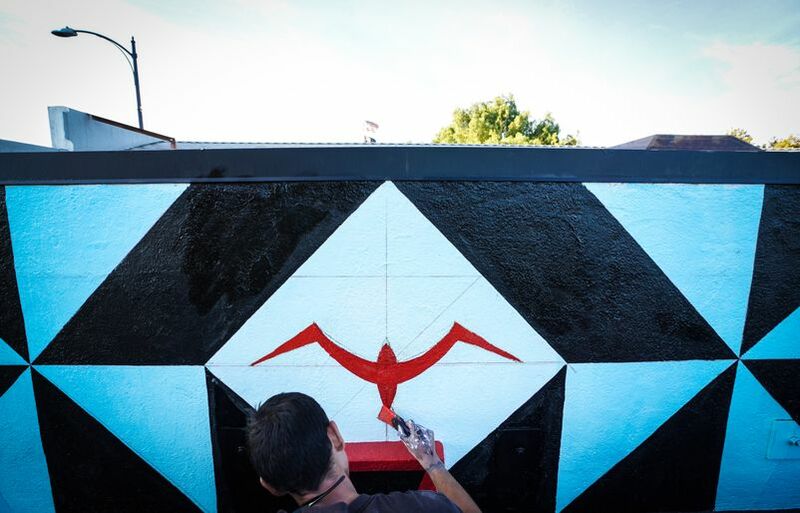 You can view Taum’s mural by visiting Camino Brewing, located at 718 S 1st Street in San Jose, Calif. Click here to open in Google Maps. 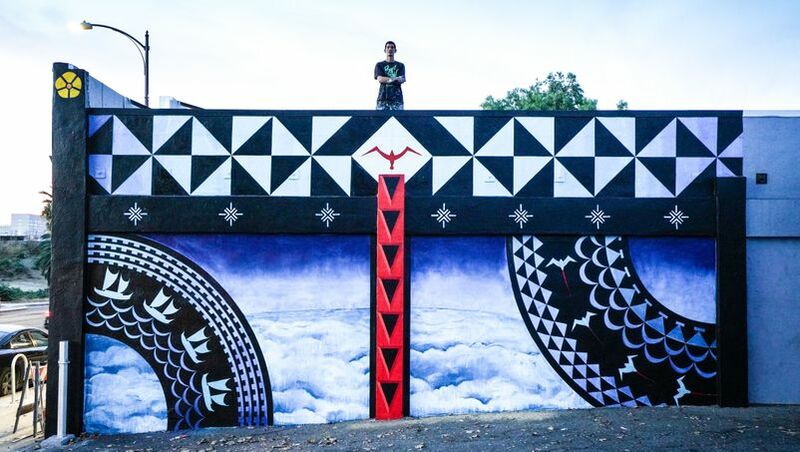 Taum considers himself a lifelong student in the Oceanic art movement and has mastered its traditional and contemporary forms (ranging from large-scale public murals to traditional Hawaiian tattooing and carving). In his youth he made a name for himself creating graffiti that echoed the ancient styles and philosophies of his motherland, Hawai’i. Since then he has delved deeper into the forms of his ancestors and hopes to present them to the world through his surreal and iconic paintings that reflect the tales of his ancestors juxtaposed with his experience being born and raised in urban Honolulu. 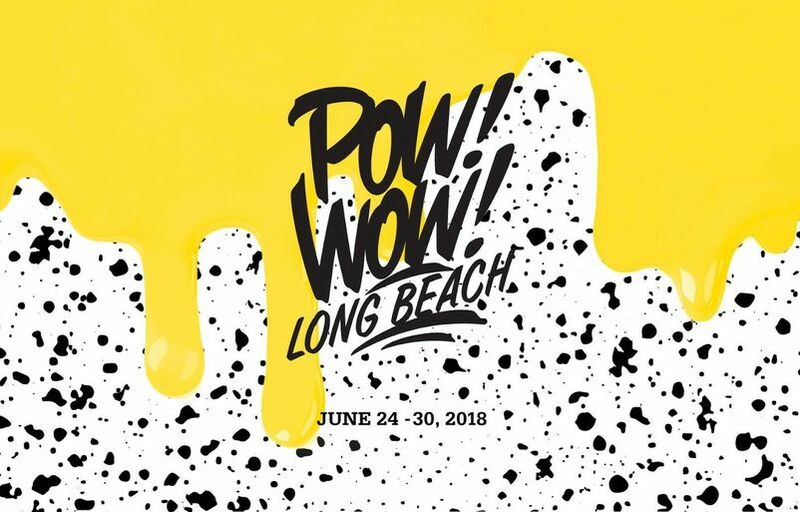 Earlier this year, we teamed up with POW! WOW! 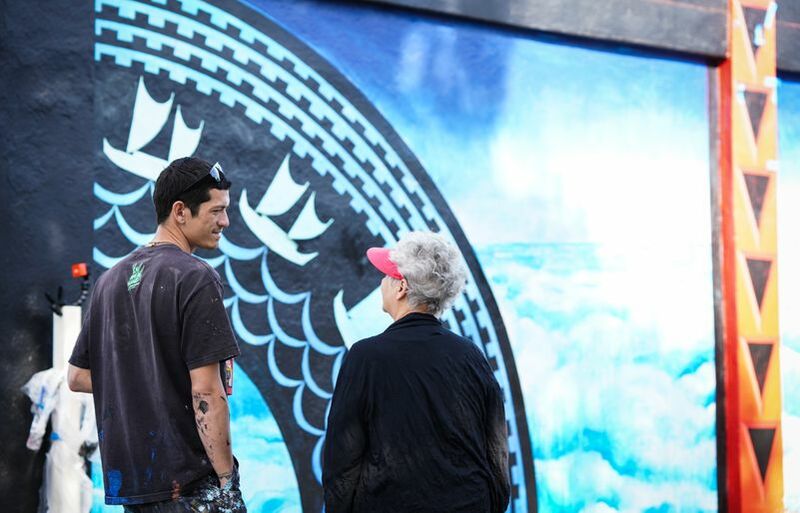 Hawai‘i to craft an ongoing series of storytelling murals focused on mālama (to care for) and kōkua (to help) throughout our international and domestic networks. These large murals, which often scale the sides of buildings in pedestrian-friendly neighborhoods, provide a canvas for artists to express their talents and engage communities in conversations around sustainability, culture and history. 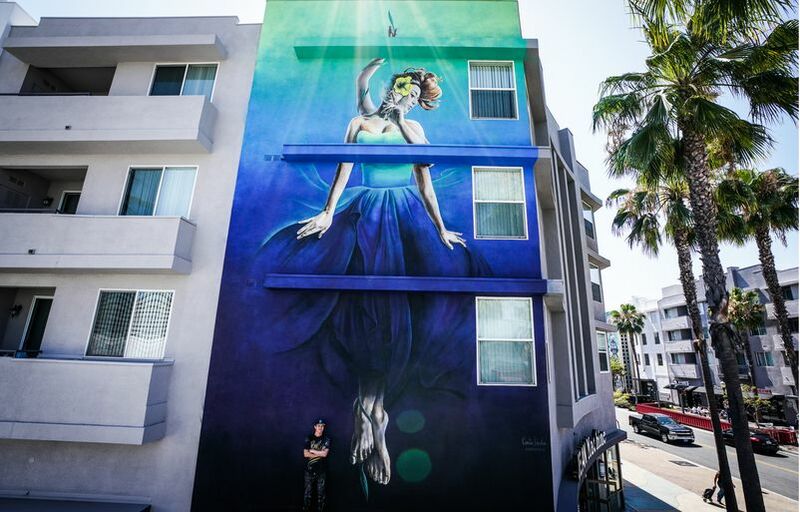 The collaborative series kicked off with the live painting of a 25-feet-wide and 60-feet-tall mural by renowned street artist Kamea Hadar in Long Beach, Calif. 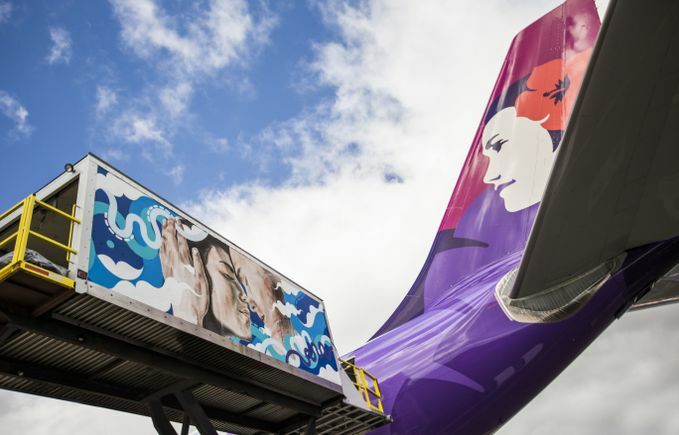 In 2016, he and Tokyo-based husband and wife duo Kami and Sasu Hitotzuki also collaborated on the painting of a Hawaiian airport service vehicle. Hadar also painted a similar service vehicle in support of the launch of 2014 POW! WOW! Hawaiʻi. 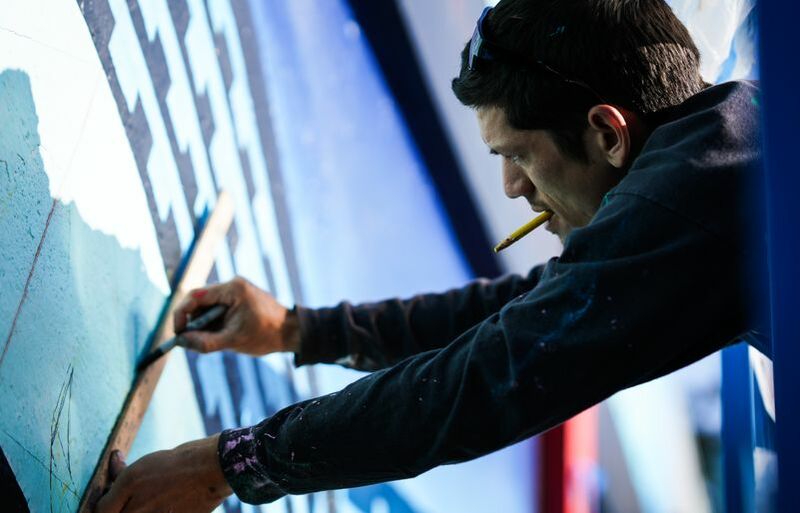 In 2015, Hawaiian secured New Zealand artist duo BMD to paint images depicting some of the country’s landscapes and native animals on another service vehicle in celebration of the airline’s second anniversary of service between Auckland and Honolulu.